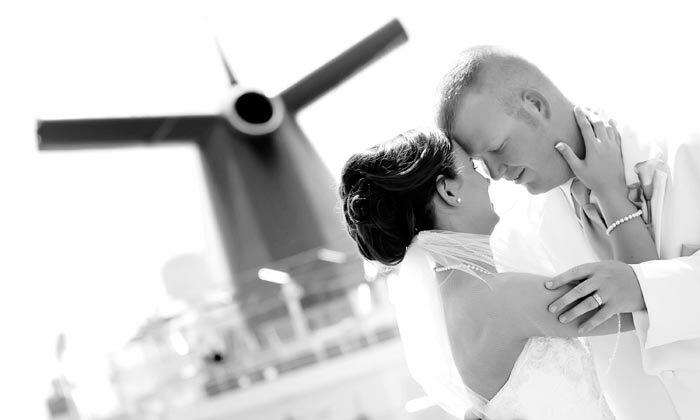 Carnival Cruise Lines has updated its wedding program which includes pretty much everything! Even the flower arrangements. The new updates now make the special experience even better offering more dedicated items to use on the day including new culinary selections and a decorated wedding aisle. Before when guests had weddings onboard the rooms never seemed to fit the occasion but now with the wedding aisle it will up-lift the scene. Even when guests are having a wedding in the port of call the new updates can also be used. Weddings can be held on a lush tropical island including Carnivals own private island Half Moon Cay. A wedding on a beach is a dream come true and now with Carnivals improved program it will be even better. Almost everything is getting improved even the cake! The wedding packages start from as low as $1,355 which is only for a maximum of eight people and doesn’t have all the wedding features. The highest priced wedding package is $1,975 which offers all the same as the lowest but some added extras and up to 20 people. So if you are thinking of saying “I Do” on a carnival cruise then make your way to the Carnival Weddings site for all the details.